Can you live waste-free? What would it take to get there? Join us for a discussion on waste-free urban living. We will be sharing ideas and life hacks for minimizing waste. Join us for our first ever "Reflections" gathering and community discussion about current social justice concerns, challenges, and changes in our local and global social spheres. "How can I support the development of social equanimity?" "How has social injustice affected my life? or those around me?" "What subconscious social conditioning am I still carrying?" "What is unconscious assimilation and am I doing it?" "What are my blind spots?" "What privileges so I take for granted?" "How am I perpetuating the cycle?" "Do I instigate diversity in my community?" We will begin by remembering Dr. Martin Luther King Jr. and listening to the inspiring words of the man himself. Followed by a personal story of healing and heightened awareness through social justice work by Jenna Jasso. Then we will create a safe, open space to share our stories, listen to each other, and weave gaps in understanding. *****We are excited to announce that we are hosting monthly "Reflections" gatherings to create space for sharing stories, perspectives, ideas, and encouragement around specific topics related to our 5 value spheres. Local. Healthy. Creative. Conscious. Sustainable. 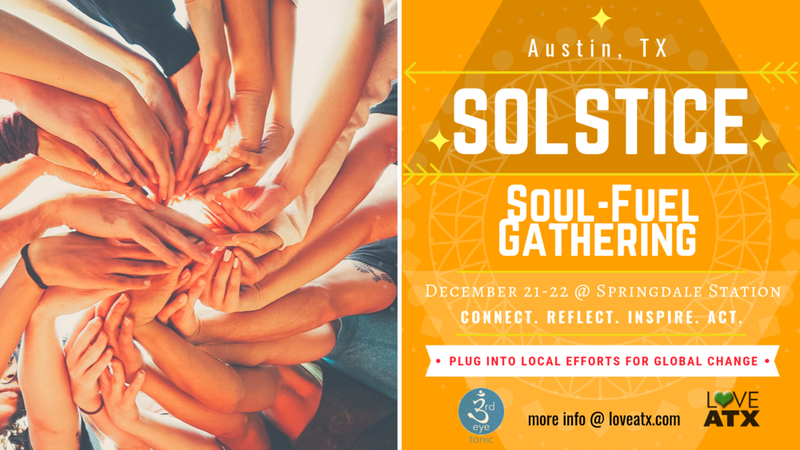 The Goal of Our Gathering is to provide you a space that is educational, transformational, healing, connective, enlightening, inspiring, and ultimately activates your highest potential. Let in the possibilities. This Gathering is more than a festival, retreat, or conference.. 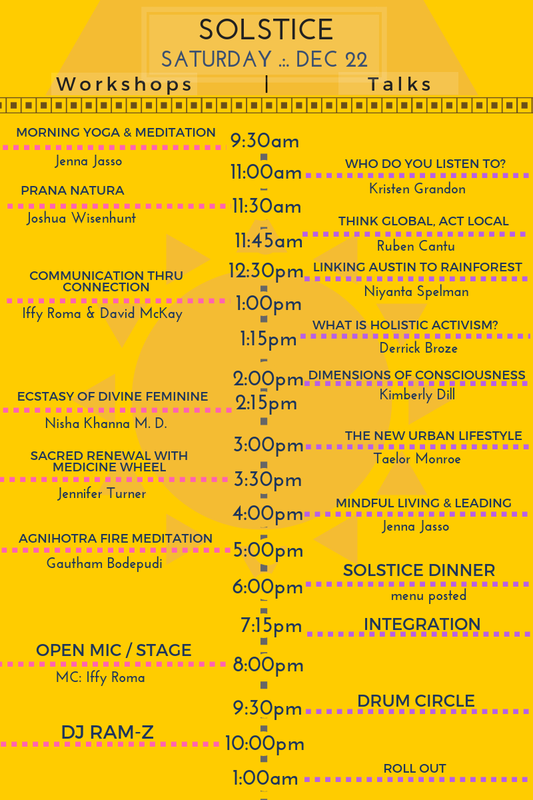 It's all tied into one, with new year intention setting, healing workshops, and a line-up of the best speakers we've ever hosted! SANCTUARY, where all mindfulness and healing workshops take place. CONNECTION Space, where talks and discussions will be held throughout the day. 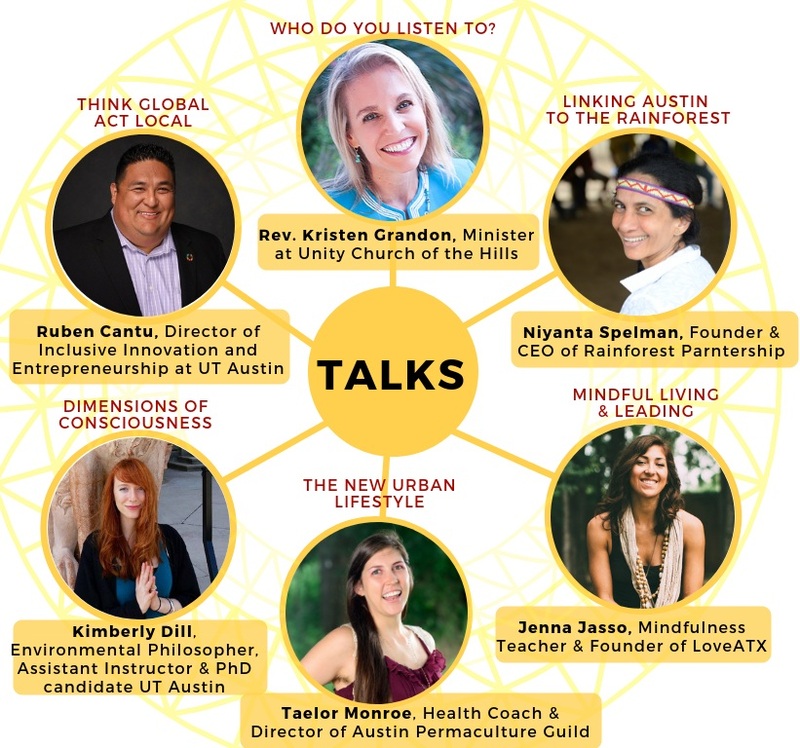 In the Connection space, you may also connect with local organizations and initiatives driving social change and urban sustainability. LOUNGE, where tea is served with a side of cozy conversations, and inevitably a wild dance floor. LOCAL MARKET, Support Local Artist, Vendors, and Artisans to strengthen local economy. 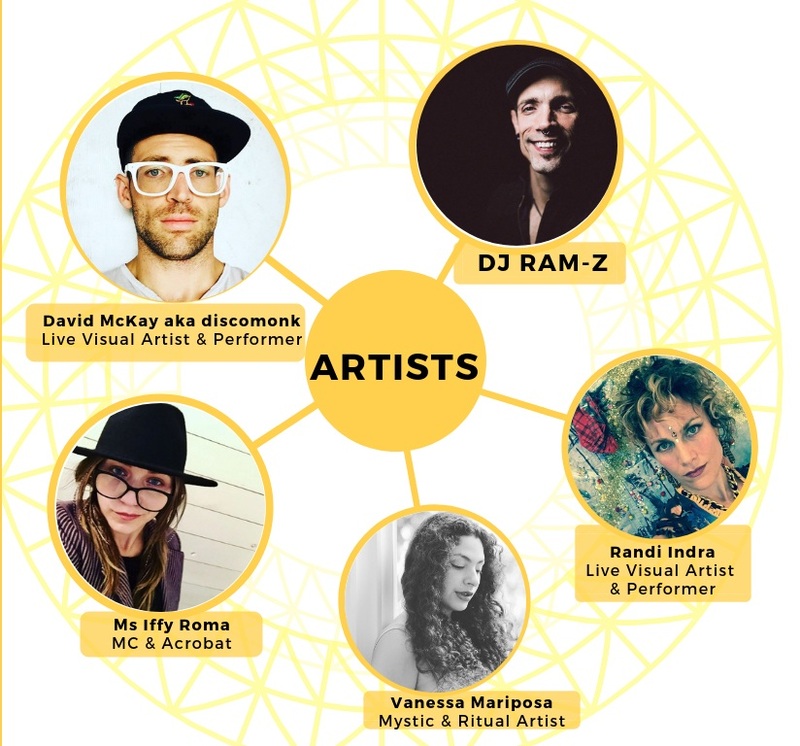 This event would not be possible without our partner in creation 3rd Eye Tonic! 10:30pm TIGER WOLF live band! Saturday March 31st FULL MOON! Converge upon Luscious Lands on the Colorado River for a Full Moon Campout! Only 25 minutes from downtown Austin, hosted at Akashic Acres. 1701 Citation Dr. Del Valle, TX. The Campout is a Transformational Community Gathering including yoga, meditation, inspiration, personal development workshops, active playshops, live art, river access, canoeing, community camping, vegetarian meals, and kids activities! 8:00am - 12pm Workshops and Classes including yoga, meditation, and active playshops. 1:30pm - 5:30pm Workshops and Classes including Acroyoga, thai massage, and motivational discussions. Volunteer trade or partial-trade options. To Volunteer, fill out the Volunteer Sign-up FORM here. AND Complete your Volunteer Registration with $20 deposit HERE.